Chancellor Philip Hammond will deliver the Spring Budget 2017 on Wednesday. What does the Chancellor have in store? Our tax and business advisory experts share their Budget 2017 predictions. We are expecting and hoping for limited tax changes in tomorrow’s Budget. Businesses and tax professionals have borne substantial uncertainty around some fundamental changes to the tax system which remain unresolved. Making Tax Digital, the end of the tax return, was announced despite being ill thought through. The implementation date is still 2018 but at this moment we have no idea as to the thresholds and what magical free software HMRC will provide to automate the collection of tax. The number one priority for the Government is to get cash tax in its hands, but it did not consider the complexity of tax legislation on which we base the computations of tax payable, e.g. farmers averaging; how they compute tax payable and are they going to pay advisers to get the real time computations as ‘right’ as these can be? Read Susie's full article in Daily Business online now. The Chancellor’s move to a single-Budget calendar from 2018 has given business hope that this, what you might call the first and last Spring statement, would contain few negative surprises so close to the new financial year. Introducing new rules with the Autumn Budget gives four or five months for businesses and their advisors to react – rather than facing a raft of potential new challenges four weeks ahead of the traditional April 6 deadline, something which we welcome. Read John Todd's full article in The Press & Journal online now. What will the Chancellor do in Wednesday’s Spring Budget statement, and what should he do? These are are two very distinct questions and outlining what the Chancellor should do is a far more valuable pursuit. Despite recent headlines suggesting Philip Hammond has an extra £10 billion to play with following better than expected tax receipts and stronger numbers from the wider economy, comments from Treasury officials continue to suggest the focus will be on productivity and infrastructure, and not on any specific giveaways. Read Graeme Cran's full article in the Daily Business online now . If you’ve ever been at an open mic night at your local pub, you’ll know you shouldn’t expect too much. Sometimes you’ll get a nice surprise, but most of the time it’s pleasingly forgettable; occasionally punctuated by polite applause. And so it was with Philip Hammond’s Autumn Statement in December. No-one dropped their pints in astonishment, but it didn’t clear the place. In the circumstances, that was a win. So what might we expect of the Chancellor’s first spring Budget, not yet a year into his tenure in charge of the UK’s finances? Success in this case, I expect, might be measured in ripples – and the fewer the better. Read John Mason’s full article in The Herald online. We'll be watching the Spring Budget announcement on the day and analysing the Budget in full once published. In the meantime follow our insight on our dedicated Budget Hub. Following the request by the Chancellor to reduce complexity by having the main Budget measures announced in autumn, it is not anticipated that there will be many policy changes introduced during the 2017 Spring Budget. 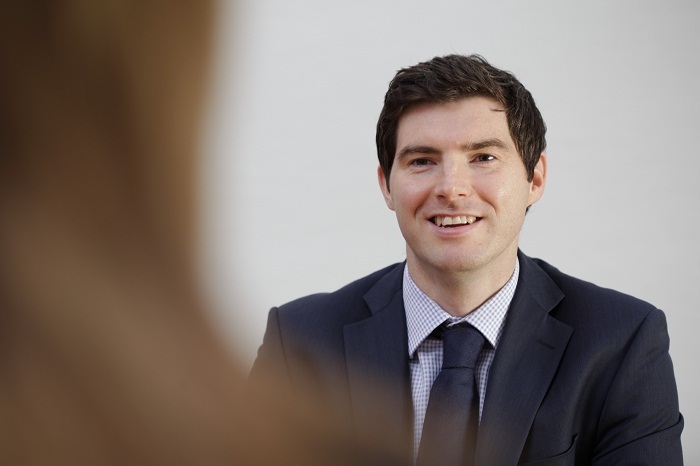 As we quickly approach the next UK Budget and the ever demanding tax year end, Gregor Munro, Financial Planner at Johnston Carmichael Wealth, highlights some of the issues that he and the team frequently have to address.